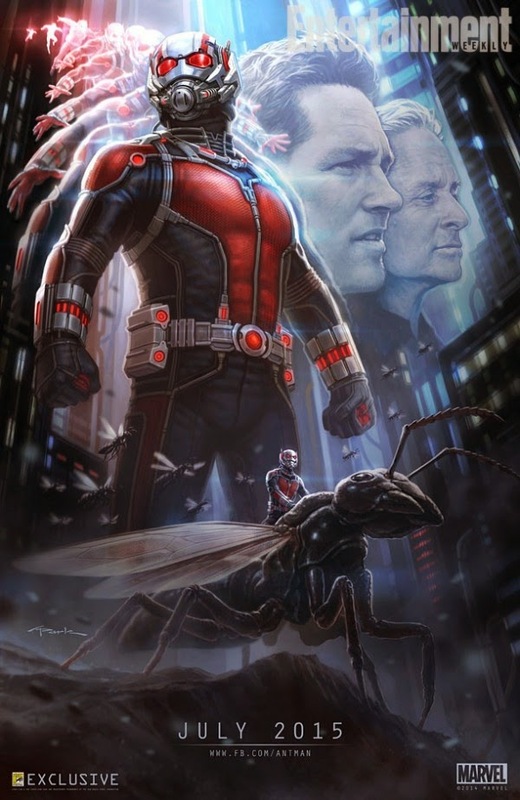 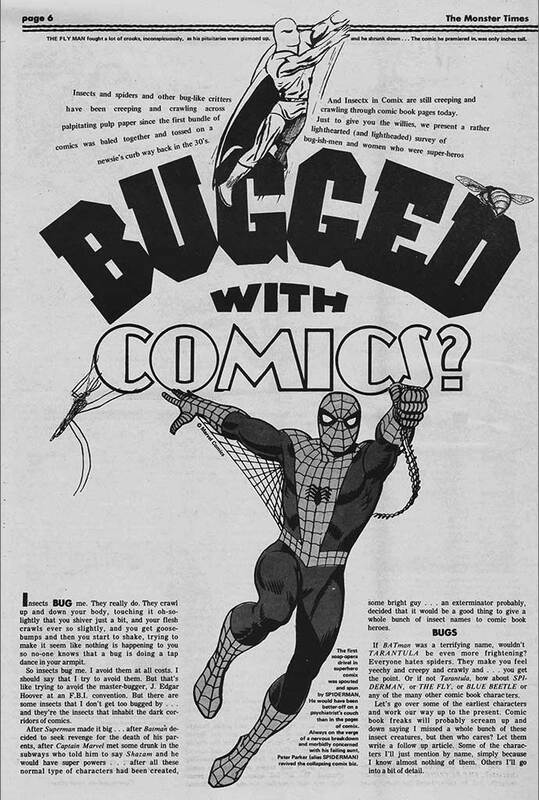 Hero Histories: Bugged with Comics? 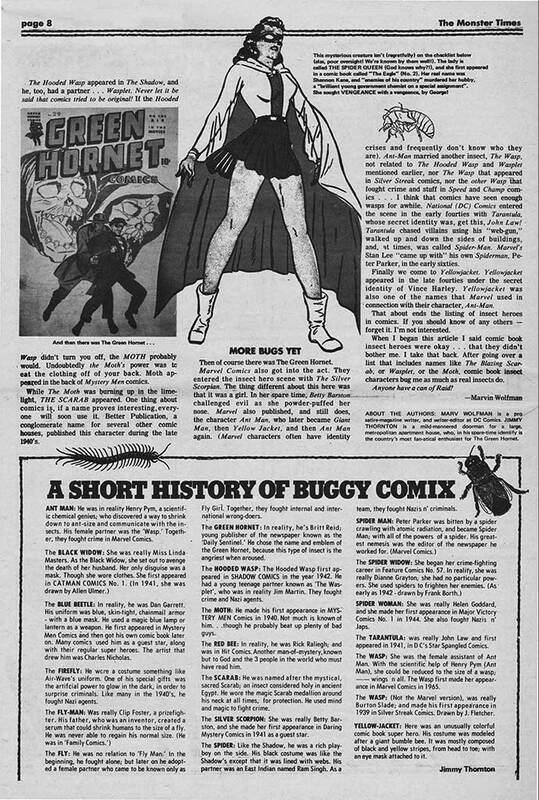 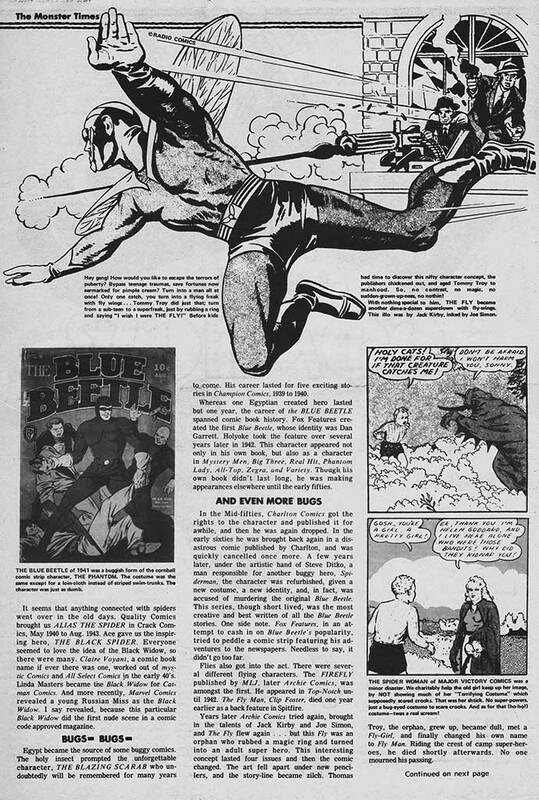 ...we thought it appropriate to take a look at the insect-themed heroes of comics, with a never-reprinted article from the amazingly-kool The Monster Times #3 (1972) by comics fan-turned-comics pro Marv Wolfman! 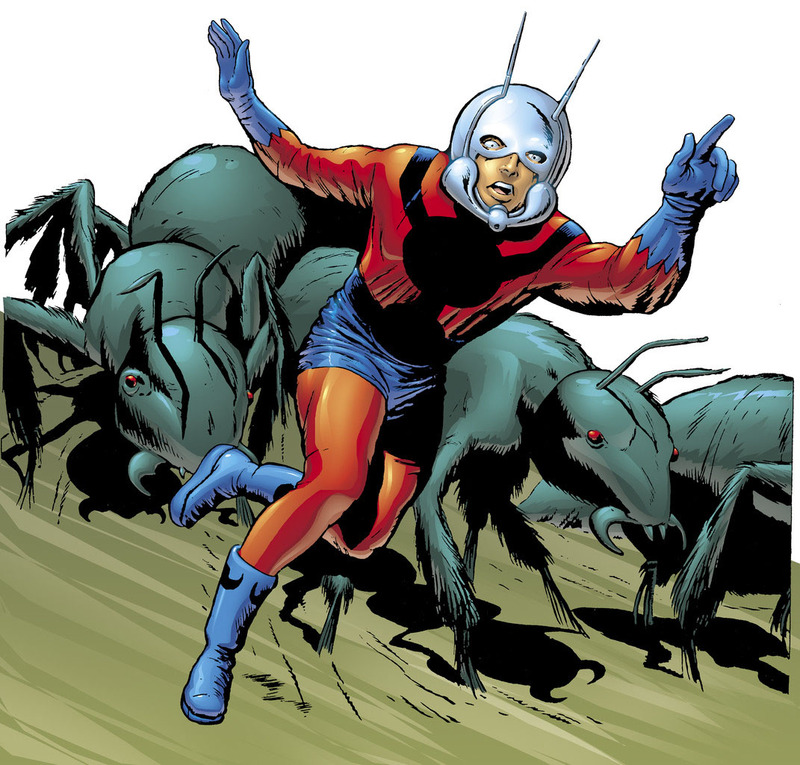 Now that you've read a primer of insect (and arachnid)-themed characters, be here next week when we present several never reprinted tales about them!